January 17 5a7 Symposium – Welcome (Back)! 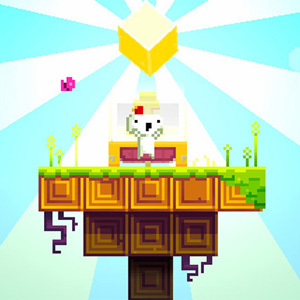 Screenshot from Fez, a puzzle-platformer by Polytron Corp.
Join us for the triumphant return of the TAG 5a7 Symposiums this Thursday, January 17, from 5-7pm in EV 11.425 (11th floor, 1515 Sainte-Catherine St. West). This is an open house event (like all our 5a7s) so if you’ve never visited TAG or the Hex Game Lab before now’s your chance! If you have, welcome back! This week we’ll be putting together the volunteer schedule for the upcoming semester so if you’d like to lend a hand please stop by. We’ll also be taking feedback from the group. If you have any ideas for things you’d like to see happen, questions about how things are being run, or suggestions for improvements let us know.